You are currently browsing the Christian Heilmann blog archives for July, 2009. A cool video of a fractal animation of generated mountains and lakes done in 1979-80 on a VAX! Interesting survey about the popularity of email clients from campaign monitor. Google releases the messaging protocol of Wave as open source – this should make it easier to extend it. The Color scheme designer is not only really pretty but also allows you to simulate different forms of color blindness. The Developer Evangelist Handbook is going nuts. 10300 hits yesterday, so far 12400 today. Amazing photos of naked Obama and unicorns – in case you wondered if the web is sane by now. Reconstructing 3D models of cities from Flickr photos is a pretty amazing research/tool/design. 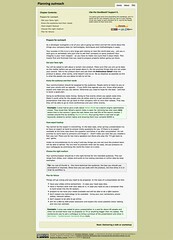 Snook blogged about CSS text rotation and dug up the old IE transitions as a fallback – they are terrible though. The Developer Evangelist handbook is out! The handbook is Creative Commons and free to use. I am working on getting a printed version out, too. You can also go to the full table of contents. The source code of the moon landing control programs has been released as open source. Now get soldering and build the hardware in Arduino. I also checked the code and could not find a fake call! AnythingZoomer is a jQuery script that provides you with a little lens to zoom parts of the screen. Nothing new, but potentially useful. Apparently rounded corners are all the rage in remedy packages – Apple has a lot to answer for, but I like it. 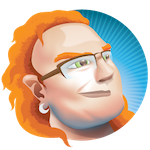 Moddims is an Apache module that uses ImageMagick to convert pictures on the fly. Great for a thumbnail API. Make magazine has a cool EeePC hardware notifier hack that embeds an LED into the casing which flashes in different colours depending on you getting an IM, an email or a Tweet.